The first in a new monthly series dedicated to the men in our lives which is sure to see my other half & I increasingly jossling for space in the bathroom. Whether you're a guy, or girl looking for gift ideas or something to encourage your man to be that little extra groomed, Mr. Skin Deep will be bringing you a summary of grooming products going forward. Please comment- can't wait to hear what you think! Lush Prince (£4.99 for 100g/£8.95 for 225g) is the ultimate in shaving creams. 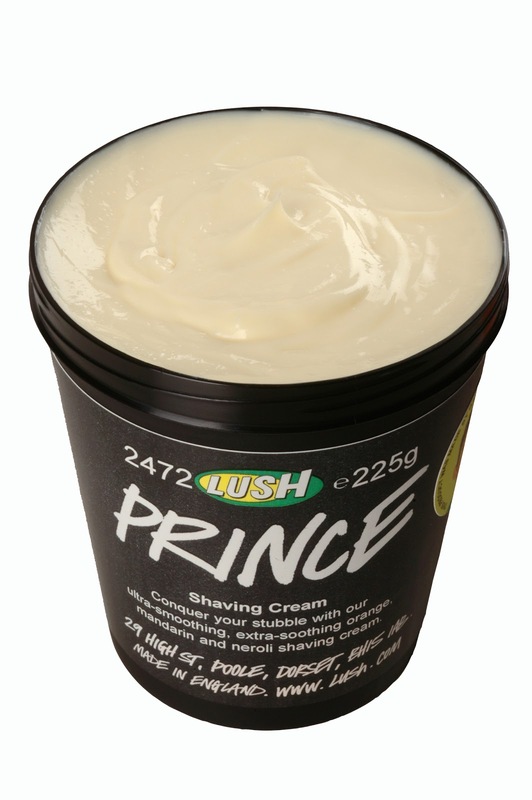 For men who want to feel like Royalty this light shaving cream is made with cocoa and shea butters for ultra moisturisation and beeswax to help get rid of dirt for a smoother shave. Scented with orange blossom, rose, smoky vetivert and luxurious neroli, in just one shave his face will be left soft, smooth and ready to face his public. Mr. Skin Deep really liked this, saying that it felt silky upon application, with no one overpowering scent, just a clean, slightly woody fragrance. Mr. Skin Deep mentioned that most men are likely to buy the shaving cream nearest to the razors in the shop and it's a shame as they'd miss out on trying this. I found it interesting that Mr. Skin Deep liked the packaging, whereas I know most women feel that the black Lush tubs are in serious need of a makeover. He noted that it's not as clear to see where you've shaved as with shaving foam but that it is comparable to mainstream ranges in terms of the actual shave (no snagging of hairs). It left his sensitive skin feeling soft and he was impressed with the moisturising benefits. Mr. Skin Deep recommends. 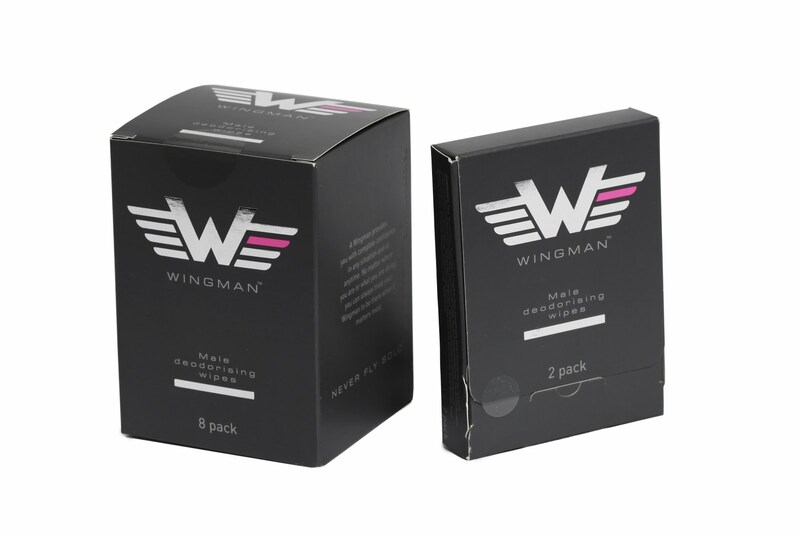 Wingman Deodorising Wipes for Men (£1.22 for a box of two or £3.56 for eight). The young entrepreneur, Stuart Jolley, who featured in BBC Two's Britain's Next Big Thing fronted by Dragon's Den star, Theo Paphitis, has launched the first product line from his WINGMAN range in Boots stores across the UK. The extra large, "man sized" deodorising wipe has been created for busy men who don't have time to shower, to help them freshen up instantly and feel confident at all times. The innovative wipe contains a refreshing mix of ingredients including soothing Aloe Vera, cooling Peppermint Oil and invigorating Ginseng, to revive and refresh whilst effectively removing dirt, oil and bacteria. Stuart first came up with the idea while camping with friends. With no showers to use at the campsite, they became frustrated using "girly" baby wipes. Shortly after his trip, on a night out clubbing, he noticed men wiping their armpits with paper towels to try to mask their body odour. He says of the wipes, "Whether you're heading straight into a meeting from the Tube, going for a few drinks after work or squeezing in a quick gym session at lunch, staying fresh can sometimes be a challenge. WINGMAN is designed to help men feel confident & fresh wherever they are." I brought these out for Mr. Skin Deep to test when we were amoungst a group of friends (embarassing, moi?) and they created quite the talking point. The overwhelming first impression was one of disbelief, with one friend's other half even questioning whether it was a belated April Fool's joke. On a personal note, I wondered just how busy men think they are that they don't have time to jump in the shower. The thing about WINGMAN is that, although it may be dismissed at first, after trying one, Mr. Skin Deep did start realising that there were quite a few occasions when a WINGMAN would have come in handy and kept mentioning such. Yes, they are expensive compared to standard wipes but you're paying for convenience plus a carefully considered ingredients list. He hated the name, saying that a wingman is the less attractive mate that you take on a night out but felt that the packaging was suitably masculine. The conclusion? Definitely worth a look, particularly for festival season. (from £25.50 for 30ml) For the man whose strength is his soul, who feels free and knows how to enjoy life, Versace Man Eau Fraiche is a fresh fragrance that combines classic and innovative, new ingredients. Carambola has a bubbly personality in the top notes and contrasts with the nobility of rosewood and white lemon. The distinctive character of cedar wood rises through the heart note to highlight the tarragon and clary sage. The base notes leave a final and irresistable trail with sycamore wood, comforting amber and sparkling musk. Mr. Skin Deep absolutely loved this, to the extent that it has now become his signature scent. It's a citrus scent which is unmistakedly masculine, although I was still quite surprised that Mr. Skin Deep liked it so much given his previous scent choices (fougeres and spicy, woody fragrances such as the gorgeous D&G The One). It's a great everyday option with a freshness which alludes to sport. Hey Mr Skin Deep! Welcome to the world of beauty/male grooming blogging. I'm going to have to try out the Lush Shave cream for sure after your recommendation. As far as Wingmans concerned it's great, I used it when climbing in The Lakes and on running events when there isn't a shower. Always have a pack to hand.